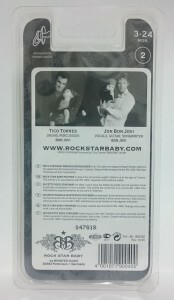 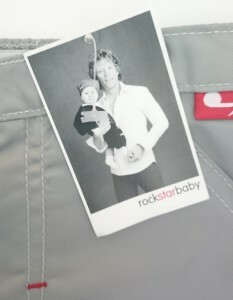 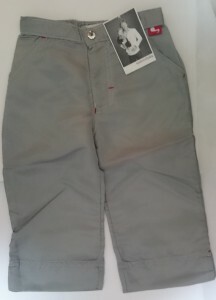 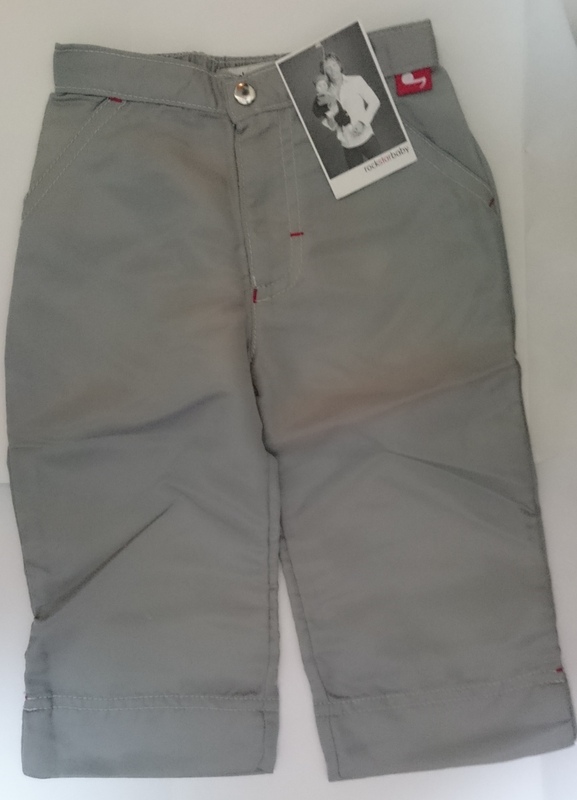 Rock Star Baby baby grey pants that Tico Torres has been designed and produced with JON BON JOVI card. 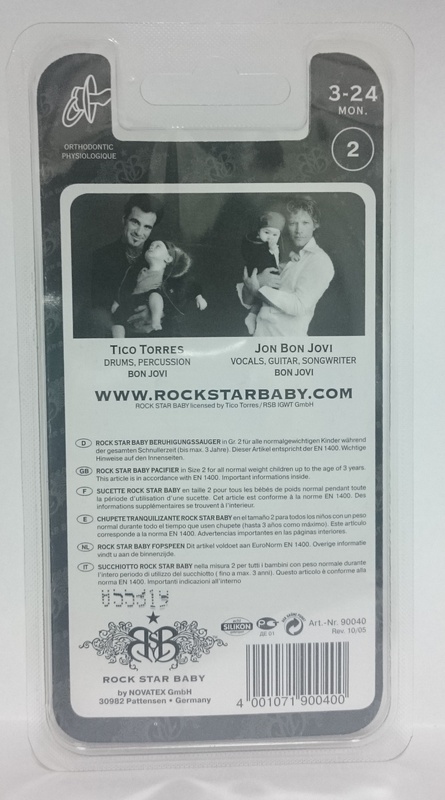 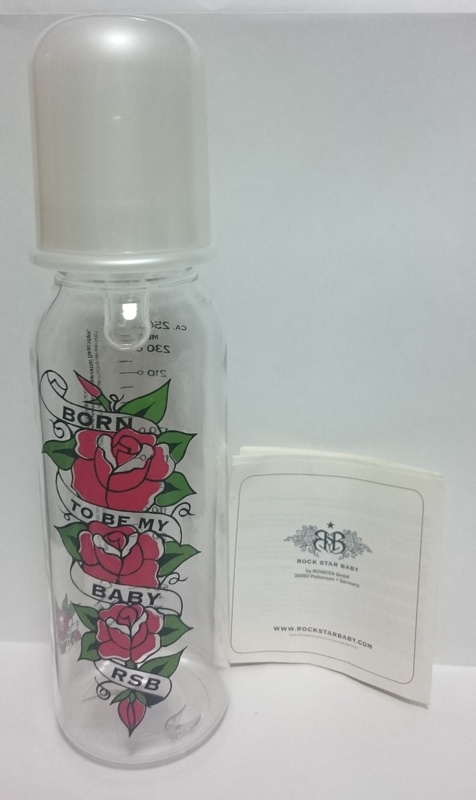 Rock Star Baby baby bottle that Tico Torres has been designed and produced with note of caution. 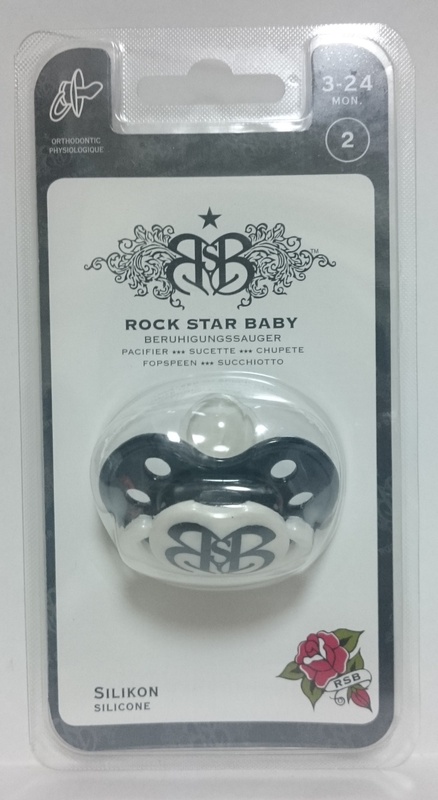 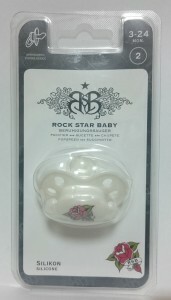 Rock Star Baby pacifier that Tico Torres has been designed and produced.